The Best Family Photography blogs from thousands of top Family blogs in our index using search and social metrics. Data will be refreshed once a week. 2.32 Sarah Black | malbourne Family Lifestyle Photography With Soul. Family Photography newsletter is a comprehensive summary of the day's most important blog posts and news articles from the best Family Photography websites on the web, and delivered to your email inbox each morning. To subscribe, simply provide us with your email address. Boston & San Antonio About Blog Welcome to the KLP blog! I’m an endlessly energetic family photographer based in Boston. Since 2008, creating joyful, vibrant imagery for modern mamas has been right up my alley! Facebook fans 3,064. Twitter followers 388. Orlando, Florida About Blog A Family Photography Blog where I look forward to creating unique, beautiful photography with you which will act a window back to your special moments for years to come. Facebook fans 1,890. Twitter followers n/a. Blacksburg, VA About Blog A Family Photography Blog. Skyryder Photography specializes in weddings, engagements, families, seniors and more! We serve Roanoke, Blacksburg, and the rest of the New River Valley! Facebook fans 2,011. Twitter followers 285. Maui Hawaii About Blog Under the Maui wedding photography category you are able to see the work of Maui wedding photographer Karma Hill or all of our staff of Maui wedding photographers. Each Maui wedding photographer has been guided by Maui Photographer Karma Hill, using specific techniques to ensure a cohesive look to all of our Karma Hill Photography wedding photos. Facebook fans 2,064. Twitter followers 221. Surrey, UK About Blog One of the UK's leading family & child photographers & photography teacher to parents. I create beautiful, expressive and evocative images for lovely families. Facebook fans 1,725. Twitter followers 1,749. About Blog Erin Schedler is a lifestyle newborn, family, and wedding photographer in Seattle. Her style embraces natural light, simple poses, and candid moments of life and love. Facebook fans 773. Twitter followers n/a. Indianapolis, Indiana About Blog My goal as a photographer is to capture families just being. All moments. The quiet ones, the loud ones, the happy ones and the sweet ones. Every single thing that makes you a family, that’s what I want to see. I want my sessions to be fun and effortless. Facebook fans 50,952. Twitter followers n/a. Baltimore, maryland About Blog A Family Photography Blog We believe that photographs stop time and preserve memories of loved ones and relationships beyond the wedding day. At the heart of Anna Grace Photography is the desire for our clients to leave a legacy of love for the generations to come. Facebook fans 3,856. Twitter followers 527. Colombus, Ohio About Blog Newborn, Children, and Family Photography in Colombus, Ohio by Joanna Andres. Her studio is located in Upper Arlington and she serves clients within all of Central Ohio. Facebook fans 3,129. Twitter followers n/a. Phoenix, AZ About Blog A Family Photography Blog. Both Lisa, with a background in childhood education, and Rachel with a background in social work with children and families, approach their photography with an eye for documenting and celebrating relationships and connection. Facebook fans n/a. Twitter followers 271. Oahu About Blog A modern, fun approach to family and vacation photography in Oahu. I want to capture your relationships, personalities, quirky traits and the tiniest details that tell the story of who you are in this moment. Brooklyn, New York About Blog Brooklyn Newborn, child and family photographer, specializing in lifestyle and natural photography. Facebook fans 390. Twitter followers n/a. NYC About Blog Michael Kormos Photography is the most sought after maternity, newborn and family photo studio in NYC. Our approach is to create an enjoyable and giggle-filled experience, while delivering stunning portraits of the highest quality. Recognized worldwide for our fresh style, creative perspectives, and portraiture that celebrates the love and joy of families. Facebook fans 12,358. Twitter followers 50. Raleigh, NC About Blog Nancy Ray Photography is a film photography studio based in Raleigh, North Carolina. Comprised of three wedding photographers and one family photographer. Facebook fans 5,558. Twitter followers 2,577. Red Deer, AB About Blog HELLO! My name is Jayme and I am an award winning & published Family Photographer based out of Red Deer, Alberta servicing The Rocky Mountains, Central Alberta, British Columbia and worldwide. I strive to create emotive images that tell stories of individual connections, warmth and love. Images that pull the viewer into that very space of time. Facebook fans 10,314. Twitter followers 214. Gainesville, FL | Atlanta, GA About Blog We are Paul & Kristin Privette, a husband and wife photography team based in Gainesville, Florida. Paul is the technical guru. He knows how to find beautiful light and make what seems like an ordinary scene become a breathtaking one. He is always calm and relaxed and makes the photography experience easy and natural. Facebook fans 1,959. Twitter followers 115. Minneapolis, MN About Blog A Family Photography Blog. Our goal is to provide you with beautiful images to display as art in your home. We offer a wide variety of products to suit the most discerning tastes. With an eye for art and style, we focus on keeping the images fresh and natural, silly and serious, capturing a true spirit of who you are and what your family represents. Facebook fans 1,095. Twitter followers 41. Seattle About Blog We're a family portrait photography business in Seattle, WA. Rebelling against awkward smiles, we create natural and carefree family photo shoots that capture the real-life adventures of childhood, so that parents can look at their pictures and feel a rush of happiness. Facebook fans 529. Twitter followers 45. About Blog A Family Photography Blog by Kirsten Smith. Facebook fans 2,978. Twitter followers n/a. Hendersonville, NC About Blog We are a sister team, located in the beautiful mountains of Hendersonville, NC with a passion and desire to capture the moments that impact peoples lives the most. We truly believe that memories fade over time, but the ones that make your life beautiful should be preserved forever. Facebook fans 1,851. Twitter followers 57. North Carolina About Blog A Family Photography Blog By Jason Angelini. Facebook fans 2,021. Twitter followers n/a. Lincoln, Nebraska About Blog It brings me so much fulfillment to be able to capture beautiful and authentic photos for families. I captured the memories and moments photographically that feel real and authentic and full of the beauty and uniqueness of your family. Facebook fans 217. Twitter followers 28. About Blog A Family Photography Blog. Boston About Blog Family and Wedding Photography that tells a story about your life and the most important people you share it with. Local, honest, authentic, & experienced. Facebook fans n/a. Twitter followers 57. About Blog Surrey Family Photographer Clare Murthy specialises in natural and relaxed baby and family photography. Outdoors on location or at your home across Surrey and London. Facebook fans 296. Twitter followers n/a. New York About Blog This is a blog, mostly aimed and intended to show the world the great happy couples, the laughing and smiles of families and the shenanigans that non-profits and other organizations host. This blog is also thoughts, ideas, and adventures that are both personal to me that I share with the world. Facebook fans 970. Twitter followers n/a. Hawaii About Blog I am a professional photographer located on the Island of Oahu. I have been passionate about taking photographs for about 10 years now. I truly enjoy all types of photography, but my ultimate favorite is working with children & families. I love that photographs allow you to preserve emotions and capture special moments in someone’s life. Facebook fans 3,721. Twitter followers n/a. About Blog A Family photography blog by Denise Williams. Facebook fans 3,579. Twitter followers n/a. About Blog Specializing in newborn, maternity and family portraits, servicing the greater Cleveland area. Chelsey takes great pride in capturing authentic, raw moments that enhance life's natural beauty. Facebook fans 3,176. Twitter followers n/a. Frisco, TX About Blog A Family photography blog. I am a custom photographer, which means I put my whole heart and lots of time to produce individualized art that is truly unique to every client. Facebook fans 2,718. Twitter followers 2. 32. Sarah Black | malbourne Family Lifestyle Photography With Soul. Victoria About Blog Melbourne lifestyle photographer Sarah Black creates modern, beautiful family and newborn photography, using traditional film methods. Facebook fans 2,291. Twitter followers n/a. Texas, USA About Blog Timeless and editorial portrait photography for families and children in Georgetown, Texas. Facebook fans 1,579. Twitter followers 23. Jeffersonville, Indiana About Blog Khara O'Neil Photography is a Louisville, KY and southern Indiana photographer specializing in newborn, maternity, baby, child, and family photography. Facebook fans 1,889. Twitter followers n/a. Denver, CO About Blog Rachael Grace Photography is a Denver Family Photographer and Newborn Photographer provide a full range of photography services from Maternity through to Family Portraits. Facebook fans 1,088. Twitter followers 682. San Francisco Bay Area About Blog Christina Hernandez, of Nightingale Photography, is a San Francisco Bay Area, Napa, Sonoma and Wine Country professional photographer who specializes in weddings, portraits, family, baby, newborn and high school senior photography sessions. Facebook fans 1,099. Twitter followers n/a. SF Bay Area About Blog Maryam Salassi of Hi Hello Photography is a San Francisco Bay Area photographer who specializes in capturing the emotional and authentic moments of your family's life. Facebook fans n/a. Twitter followers 1,324. About Blog ﻿I began photographing in the age of the dark room and film photography over 15 years ago and have been inspired ever since. I enjoy capturing life's little moments whether that is via a family photograph or a beautiful landscape. ﻿ I try to keep my sessions as fun as possible, especially where children are involved and often bring an assortment of props for kids of all ages to use. Facebook fans 880. Twitter followers n/a. Park City, Utah About Blog We specialize in custom portraiture of families, pregnancy, babies, children, high school seniors, and professional headshots. Our style is fresh, modern, and artistic, and we pride ourselves on making each client feel special and gorgeous!! Facebook fans 800. Twitter followers 72. Zionsville, Indiana About Blog Kelly Martin Photography offers custom on-location lifestyle and portrait professional photography services in Indianapolis and surrounding areas. See the beautiful photos taken from the most recent Kelly Martin Photography sessions. Facebook fans 424. Twitter followers n/a. About Blog I'm a self taught artist living just outside Baltimore, Maryland. My paintings center around nature and the magic of childhood. My photographs tell love stories and fuel the art I put into the world. Just over here living my dream life! Houston About Blog Full service Houston family photographer, Jennifer Sue Photography, captures beautifully candid in-home photos highlighting families and children while offering heirloom quality products. About Blog Family and Wedding Photography Blog in Star Valley and Jackson Hole Wyoming. Facebook fans 149. Twitter followers n/a. 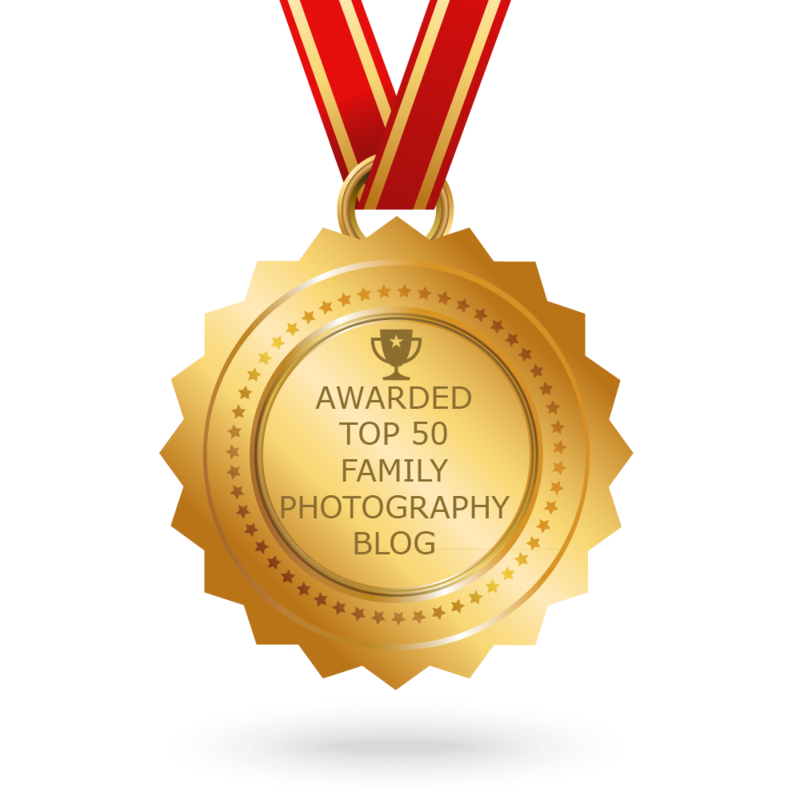 CONGRATULATIONS to every blogger that has made this Top Family Photography Blogs list! This is the most comprehensive list of best Family Photography blogs on the internet and I’m honoured to have you as part of this! I personally give you a high-five and want to thank you for your contribution to this world.